Bluebeam Revu provides measurement tools ideally suited for construction estimating take-off. You can use the snap to content for your estimating department to work with plan sets and “hit” the exact corner or inside wall for a perfect measurement but the line weight might may impact your measurement accuracy. Select which toolbar you want to add it to, or click the plus to create a new toolbar that you can drop onto your profile. Click on the arrow to add it to your toolbar. I added mine to the right navigation and it appears in the lower right on my screenshot at the top of this post. I suggest you add Disable Line Weights before your next bid. As a professional construction estimator you’ll be more productive and accurate with your measurements. BONUS: Remember to have your snap to content activated so your clicks will attach themselves to the nearest underlying content. Posted by carolhagen in Construction Industry - Software, estimating. Construction Estimators have been spending much of their estimating time counting electrical recepticals, sprinkler heads, and trees. 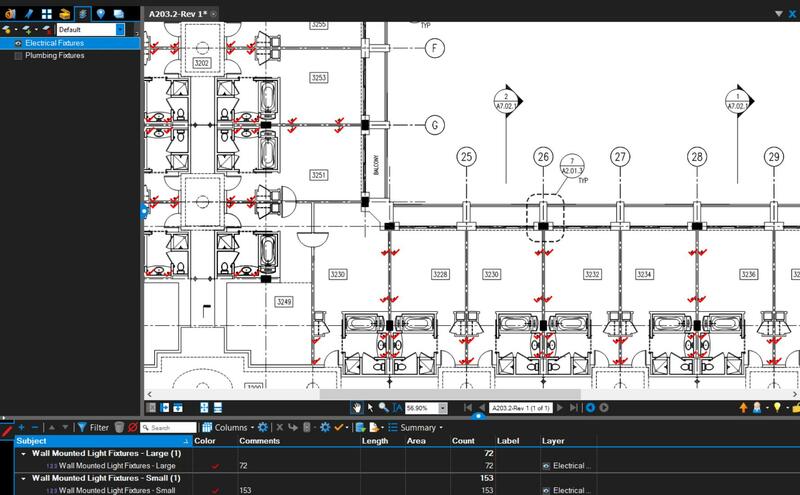 The estimating take-off process has just been revolutionized with Bluebeam Revu 11’s Visual Search. Manual counting has ended for the estimator. Construction Estimating will never be the same. 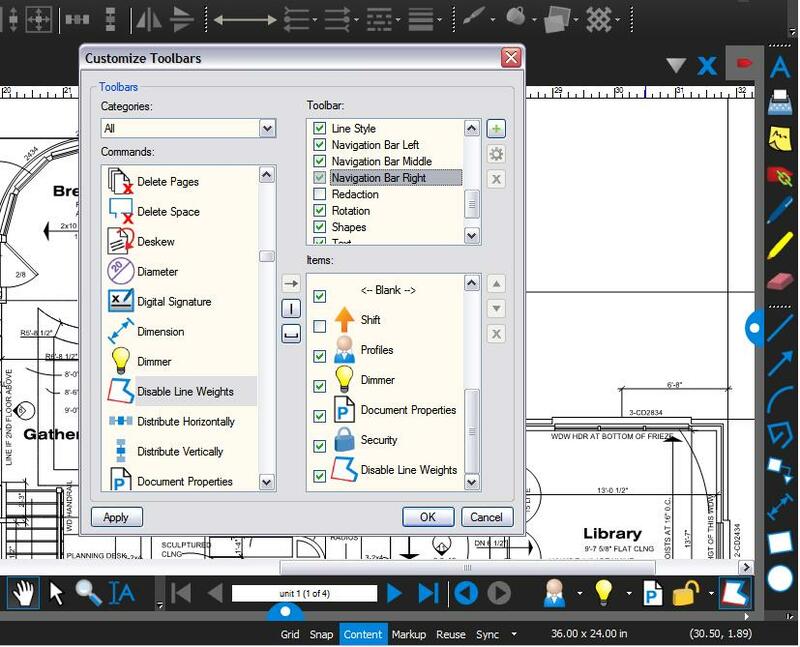 Revu’s powerful search capabilities allow you to search for symbols within a PDF document. Revu’s exclusive VisualSearch™ allows you to select any symbol on a PDF and search for all instances that it occurs in the current document, all open documents, or even a folder – regardless of the symbol’s rotation, color size, or line obstructions. What’s great is you can highlight or “check” every instance and have a count drop into the Markups list (A spreadsheet-like area that can be exported to Excel). Visual Search is just one piece of Revu’s measurement capabilities. Watch the video. You just won’t believe your eyes! Then give me a call (602-570-7289) so you too can streamline your whole estimating process, or try a 30 day free trial now. Yes, I sell software for a living and I’m dedicated to making your job easier. A professional estimator’s time shouldn’t be spent manually counting. Counting is for kindergartners.